The management team is headed by Mr. Zahoor Hussain Khan, a seasoned microfinance practitioner. He has led the development and implementation of the transformation of NRSP microfinance programme. Mr. Khan is a specialist in the design, planning, policy formulation, organizational structure and product development of rural microfinance. He has extensive hands on experience in the development and management of large microfinance and development programmes. He has previously served at several other projects for economic and social development in various provinces of Pakistan. After graduation from University of Engineering and Technology Peshawar, he has received extensive training in microfinance management from various renowned institutions including Harvard Business School, John F. Kennedy School of Government Boston, Lahore University of Management Sciences, National Institute of Banking and Finance Pakistan, Naropa University Colorado and AlHuda Centre of Islamic Banking and Economics Pakistan. Mr. Asif Mahmood is Chartered Accountant by profession. He is a seasoned finance Professional having more than 10 years of local & international experience in arena of Finance and IS Implementation with well-known organizations. He completed his CA Articleship from Deloitte and also worked in International Office of Deloitte in Kingdom of Saudi Arabia. Zafar Iqbal possesses 20 years of experience in microfinance industry. He has served in NRSP, Pak German Project, Balochistan Rural Support Programme, Sarhad Rural Support Program and Khushhali Bank at key positions. He holds a Master’s Degree from University of Balochistan. Mr. Zafar has attended a number of trainings from leading organizations including Boulder Institute of Microfinance, Italy and Lahore University of Management Sciences (LUMS). He has also visited microfinance institutions in Indonesia and replicated good practices in local institutions. Mr. Asad Mushtaq’s career spans over 10 years, during which he has held key roles in IT, Operations and Transactional Banking. Prior to joining NRSP MFB, Mr. Asad has been associated with Faysal Bank Ltd, MCB Bank Ltd and MNET Pvt Ltd. His last assignment was Manager Business Analyst IT at Faysal Bank Ltd Karachi. Mr. Asad Mushtaq holds a Master’s Degree in Business Administration from COMSATS Institute of Information & Technology. 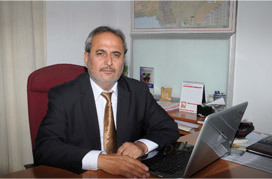 Mr. Farooq holds more than 20 years of banking experience. During this period, he has worked in different departments e.g. Credit Cards, Mortgages and Corporate and Consumer Credits with various financial institutions. Beside this, he also has experience in Policy and Planning as well as Digital Financial Services. 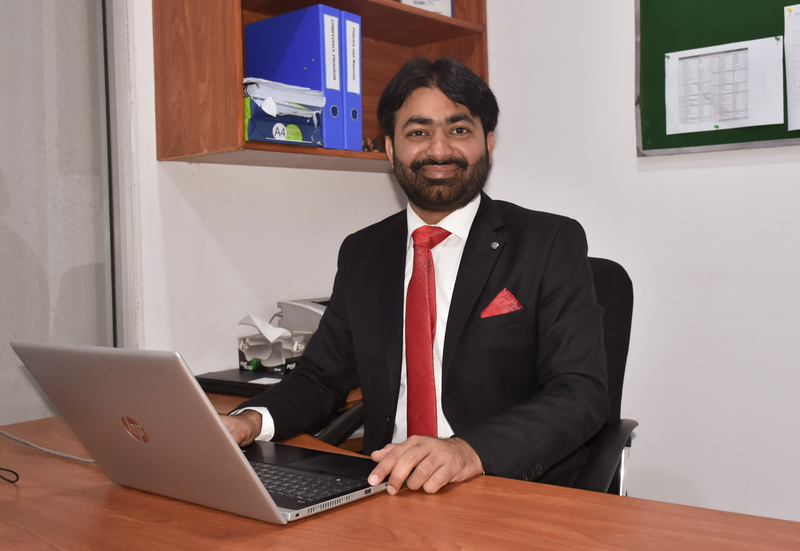 During his last assignments, he has successfully launched and operated Timepay & JazzCash, two of the leading branchless banking solutions in Pakistan. He holds Master’s degree from USA. Ms. Rafia Saleem is working as Head Risk Management in NRSP Microfinance Bank Limited. She joined NRSP MFB in January 2012 as Deputy Head Finance and was later transferred to Risk Management Department. She is an Associate Member of the Institute of Chartered Accountants of Pakistan (ICAP). Prior to joining NRSP Bank, she has worked with International Organization for Migration (IOM) and Deloitte M. Yousaf Adil Saleem & Company in different capacities. Mr. Waqas Ashraf is Chartered Accountant by profession. Waqas has over 5 years of diversified experience and combine cross-functional competencies in accounting, auditing, finance, staff supervision and management. Proficient in managing and developing financial reports and controls through staffing and technological efficiencies, he has an ability to contribute as a team player and interface with professionals on all levels. Mr. Tanveer has over 17 years of experience in effective planning, coordination, execution and supervision of Microfinance Services. He has expertise in formulation, expansion and monitoring of microfinance program as well as microfinance banking operations. Having served in microfinance department of the Bank for over 6 years, he has recently been rotated to Head of Operations slot. Mr. Riaz Bangash has rich experience in HR in banking sector and has worked on specialized HR positions. He hold an MBA with majors in Finance from IBA-Karachi in addition to having attended several strategic level training programs at LUMS, British Council, World Bank, Stephen Covey, IBP, etc. Prior to joining NRSP MFB, he had been associated with Habib Bank Limited, Askari Bank Limited and The Bank of Khyber in various capacities. Mr. Muhammad Khalid Masood is a Chartered Accountant by profession. He has experience of more than seven years in the field of Banking, audit, taxation, risk management and consultancy. He has worked in Deloitte Pakistan and Deloitte International in Kingdom of Saudi Arabia. Mr. Kamran is a banking professional having 15 years plus experience of banking in conducting Regulatory inspections, supervising & managing the compliance function and oversight of Risk function. He has exceptional knowledge of regulations, polices, guidelines, procedures and laws governing the banking industry. Prior to joining NRSP MFBL, he has been associated with State Bank of Pakistan, Bank Alfalah and Virtual Remittance Gateway (a PSO/PSP).